This DVD/Blu-ray release is a live concert. 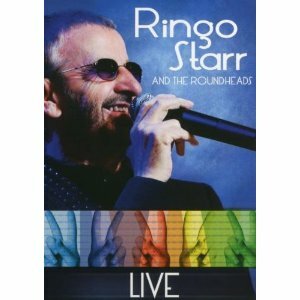 Filmed at the historic Genessee theatre in Waukegan, Illinois the concert includes songs from Ringo's solo career as well as hits from The Beatles. The first thing to strike me is how young Ringo looks - he certainly doesn't look anywhere near his real age, and is in great shape. For his cover of the Men at work hit "who can it be now" Ringo takes to the drums and vocals are handled by Men at work singer Colin Hay. It's a great performance and with Ringo on one drunkit and his drummer on another drumkit I'm amazed how well it works. Ringo is great in concert - I must admit to being pleasntly surprised how much I enjoyed this, even though I dont know much of his solo work. Based on this then next time he tours I'll try and get to one of his shows. The sound and picture quality are both excellent and there's good use of multiple camera angles without any arty effects that can sometimes spoil live videos. A very good release that's well worth checking out whether you're a Beatles fan or a fan if Ringo's solo work.